KUALA LUMPUR (July 15): Kao (M) Sdn Bhd (Kao Malaysia) is aiming for 5% to 7% of market share growth with the company's parenthood campaign and the launching of their book The Secret to My Modern Parenthood. Kao Malaysia associate vice president Tan Poh Ling said the group's business projections are expected to grow in tandem with the annual population growth of 1.51%. She also said sales have so far increased by 7% to 8% despite the challenging economic environment and, according to reports, while the group is targeting a 15% sales growth for this year, driven by its core brands including Merries babies diapers, Attack concentrated laundry powder, and Biore and Loreal beauty products. "We are not allowed to share revenue figures. Suffice to say, Kao has registered growth in sales and profits. For revenue projection for this year, we are targeting to grow above the market average," she said without giving more details. Since entering the Malaysian market, Kao's Attack concentrated laundry powder is the no. 1 concentrated powder in Malaysia, capturing more than 70% of market share while Magiclean kitchen is the bestselling in its segment with more than 45% of market share. 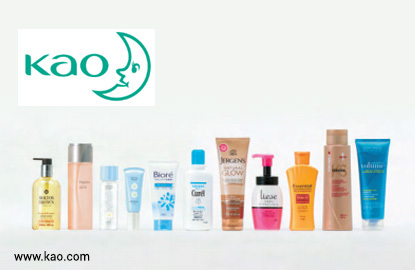 "All of Kao's products are bestsellers. Over the years, Kao's products have grown to become Malaysia's leading beauty, home and sanitary care (products) with a wide range of brands such as Asience, Attack, Biore, Laurier, Liese, Magiclean and Merries," said Tan.